Maximize Your Dental Health at The Dental Depot! The Dental Depot in Cleves, OH provides optimal dental health for patients in a caring, relaxed environment. Dr. Ghering and the whole Dental Depot team strive to help each patient feel comfortable seeking dental treatment. Many insurance plans are accepted; please call the office at 513-941-2000 to discuss your individual insurance questions. We are pleased to announce that we are now a proud provider of SUPERIOR DENTAL CARE! We are conveniently located in Cleves, OH, at the intersection of U.S. Route 50 and Bridgetown Rd. We proudly serve patients from greater Cincinnati, southeastern Indiana, and northern Kentucky. The Dental Depot is a general dental practice for the entire family, providing oral care for children of all ages, teenagers, adults and senior citizens. We pride ourselves on the attention we pay to each patient – you can be assured that your questions will be answered each time you visit. We know that your dental health is important and we hope that you will feel confident in our ability to meet all of your expectations. Please take a moment to browse through our site to learn more about our office and how we are here to serve you. If you have any questions or comments, please feel free to contact us. We look forward to hearing from you soon. Teeth care is essential for a healthy smile. Learn how to care for your teeth to promote optimal dental health. All members of the Dental Depot serve as Dental Health Resources. Meet our dentists, dental hygienist, dental assistants and practice administrators. 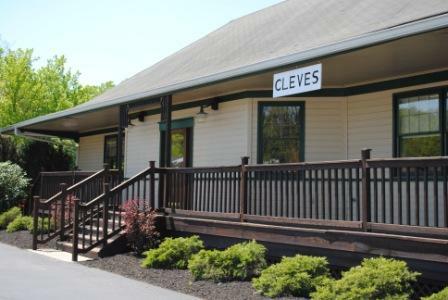 Cleves, Ohio is home to the Dental Depot. Convenient to both Indiana and Kentucky, the Dental Depot serves patients in a caring, friendly environment. The Dental Depot supports Family Dental Health for all members of a family. Children, adolescents, adults, and seniors are welcome at the Dental Depot. Dental Terms explains common terms used by the dentists and hygienist at the Dental Depot. Dental Health - What's New? Learn about dental health at the Dental Depot. Dental news will be shared, including past newsletters. Patient testimonials are an opportunity for patients to express appreciation to Dr. Ghering. Scheduling is easy and patients are happy with their dental work.